In case you weren’t aware, there is a whole community out there that revolves around customizing NERF guns. In that community is a subculture that builds their own NERF guns, and within that group is a sub-subculture that 3D prints NERF guns. So next time you are contemplating how esoteric your little corner of the hacking world is, keep that in mind. 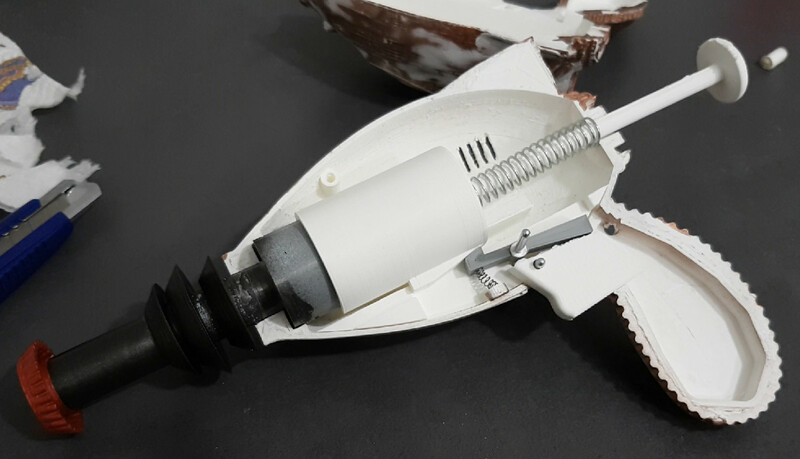 Anyway, [Wekster] is currently making his way in the world of 3D printed one-off NERF guns, and has unveiled his latest creation: a fully 3D printed “Thirst Zapper” from Fallout 4. Except for the springs, each and every piece of this gun was printed on his CR-10 printer. You could even wind your own springs if you really wanted to, and keep the whole thing in-house. Because if you’re going to do something this niche, you might as well go all in. Even if you aren’t a member of the NERF-elite, the video [Wekster] has put together for this project is a fantastic look at what it takes to design, print, and finish a custom build. From creating the model to mixing the paint to match the in-game model, this video has a little something for everyone. This isn’t the first time we’ve covered 3D printed NERF guns, but it’s surely the most ornate we’ve ever seen. Interestingly, the bar is set pretty high for Fallout-themed builds in general, so perhaps there’s some unwritten rule out there in regards to Fallout prop builds. As a fan of Fallout, I love this. It’s got what plants crave. LOL, Brawndo. It’s got Electrolytes! Waiting on Shekelmedia/ Aka Zenimax to jump on this and turn it into a limited saleable item but only if you subscribe to special creation club content.